Iranian President Hassan Rouhani spoke with the leader of Hamas Monday, as Iran vowed to back the terror group in fighting Israel after US recognition of Jerusalem as the capital of Israel. Hamas has been urging Palestinians to launch a new intifada. Rouhani and Haniyeh spoke by phone on the issue, according to Iranian state-run media. Qassem Soleimani, commander of the Islamic Revolution Guards Corps’ elite Quds Force, also spoke by phone Monday with leaders of the Hamas military wing, reassuring them that Iran will back Palestinians in their “resistance” to Israel, Iran’s Press TV reported. 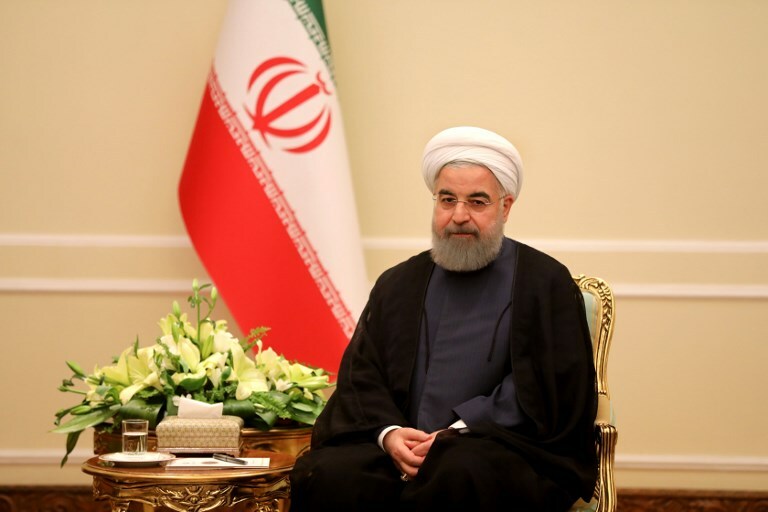 “The oppressed people of Palestine and Islamic ummah (community) will undoubtedly defeat the US-Israeli plan with their unity and resistance,” Rouhani told Ismail Haniyeh, as quoted by the Iranian government’s website. In an address last Wednesday from the White House, US President Donald Trump insisted that after repeated failures to achieve peace, a new approach was long overdue, describing his decision to recognize Jerusalem as the seat of Israel’s government as merely based on reality. The move was hailed by Prime Minister Benjamin Netanyahu and by leaders across much of the Israeli political spectrum, and opposed by most of the international community. Rouhani said Trump’s recognition of Jerusalem as the Israeli capital “revealed the nature of the US and Zionist regime to the world and showed that they do not want to officially recognize the Palestinian people’s rights at all,” according to a report from the semi-official Press TV website. Haniyeh responded to Rouhani that Palestinians will never allow the US plan to go ahead and that a new Palestinian intifada was beginning. There have been daily protests in the West Bank and the Gaza Strip against Trump’s announcement, although they tailed off after thousands rioted on Friday. Jerusalem’s status is one of the most sensitive issues in the Israeli-Palestinian conflict. Israel sees the entire city as its undivided capital, while the Palestinians want the eastern sector as the capital of their future state. Trump stressed during his speech that he was not specifying the boundaries of Israeli sovereignty in the city, and called for no change in the status quo at the city’s holy sites. Hamas has called for a new intifada against Israel, has urged Palestinians to fight against soldiers and settlers, and has allowed thousands of Gazans to confront Israeli troops at the Gaza border fence in recent days. 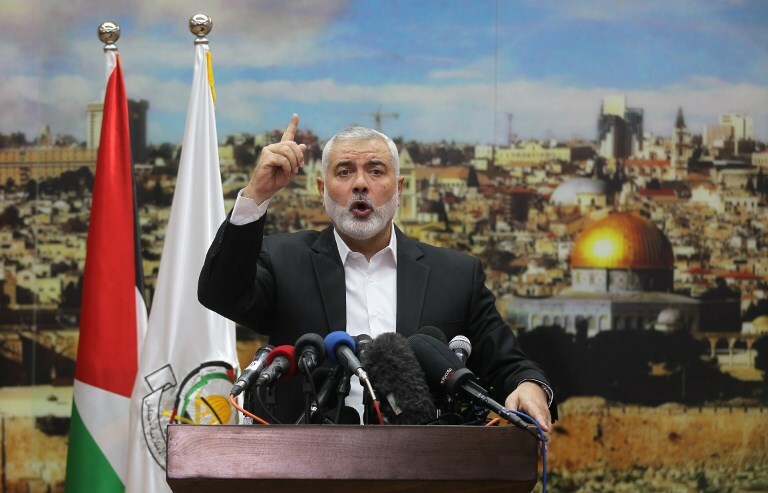 Haniyeh on Friday praised the “blessed intifada,” urged the liberation of Jerusalem, and made plain the group was seeking to intensify violence against Israel. Four people have been killed in Gaza during border clashes with IDF troops or in retaliatory strikes following rocket attacks. On Sunday a West Bank Palestinian stabbed a security guard at the Jerusalem central bus station, critically injuring him. The stabber was arrested and the guard remains hospitalized in a serious condition. Also Monday, a few hundred diehard Iranian conservatives rallied in Tehran against Israel and Trump’s policy move on Jerusalem. Iran’s Lebanese proxy, the Hezbollah terror movement organized a rally in Beirut attended by tens of thousands. Hezbollah leader Hasan Nasrallah spokes via video to the crowds telling them that Trump’s recognition of Israel was the “beginning of the end” for Israel. Since the 1979 Islamic Revolution, Iran’s opposition to Israel and support for the Palestinian cause has been central to its foreign policy. 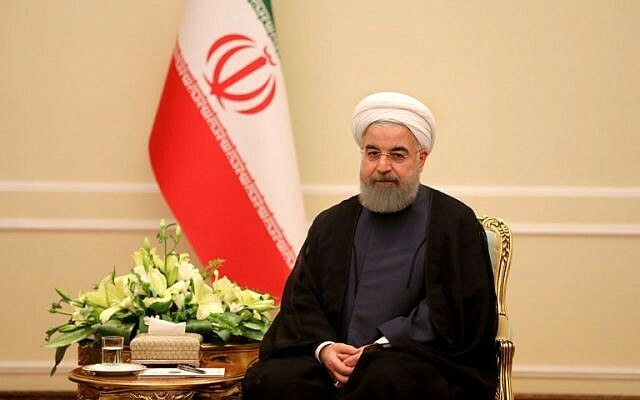 Iranian officials regularly call for Israel’s destruction and Tehran has provided military aid to its Lebanese proxy terror group Hezbollah and also to Hamas, both of which are sworn to destroy Israel.